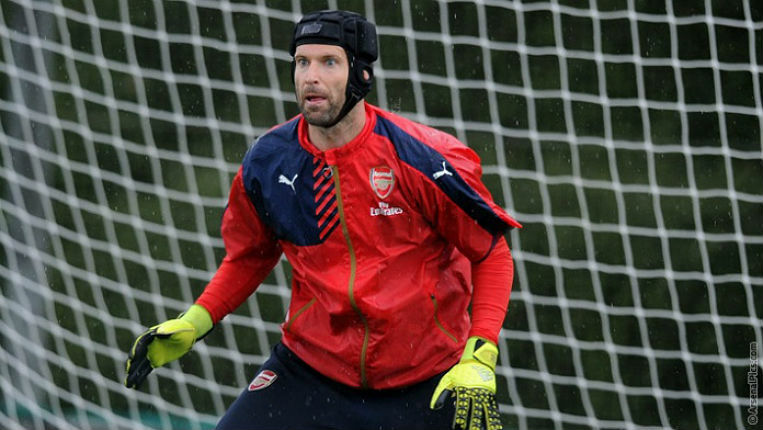 LONDON, Sporting Alert – Petr Cech has been handed his home debut for Arsenal in today’s Emirates Cup at Emirates Stadium against Wolfsburg. Cech, who moved to Arsenal from London rivals Chelsea this summer, replaces Emiliano Martinez in goal, after sitting on the bench for Saturday’s 6-0 victory over Lyon. Also coming into the starting XI on Sunday are midfielder Jack Wilshere and Mikel Arteta, as well as attacker Jeff Reine-Adelaide. In total, manager Arsene Wenger makes 10 changes to his starting lineup from the win against Lyon, as only playmaker Mesut Ozil retained his place in that team. Theo Walcott and Santi Cazorla, who were second half substitutes in the first game, also start, with the former leading the attacking line as Olivier Giroud, who scored a stunning header to open the scoring in the win over Lyon is on the bench. Hector Bellerin, Calum Chambers, Gabriel Paulista and Nacho Monreal make up a fresh back four with Reine Adelaide getting his chance to show Wenger what he can do. For Wolfsburg, meanwhile, former Arsenal striker Nicklas Bendtner starts against his old club, with Manchester City target Kevin De Bruyne and former Chelsea forward Andre Schurrle among the highlighted starters as well. The likes of Per Mertesacker, Laurent Koscielny, Alex Oxlade-Chamberlain, Aaron Ramsey, Chuba Akpom and Alex Iwobi are all on the bench for Arsenal, who will win the Emirates Cup if they beat Wolfsburg in this encounter. The German side went down 2-1 to Villarreal on Saturday. Arsenal Team: Cech, Bellerin, Chambers, Gabriel, Monreal, Arteta, Cazorla, Reine-Adelaide, Ozil, Wilshere, Walcott.